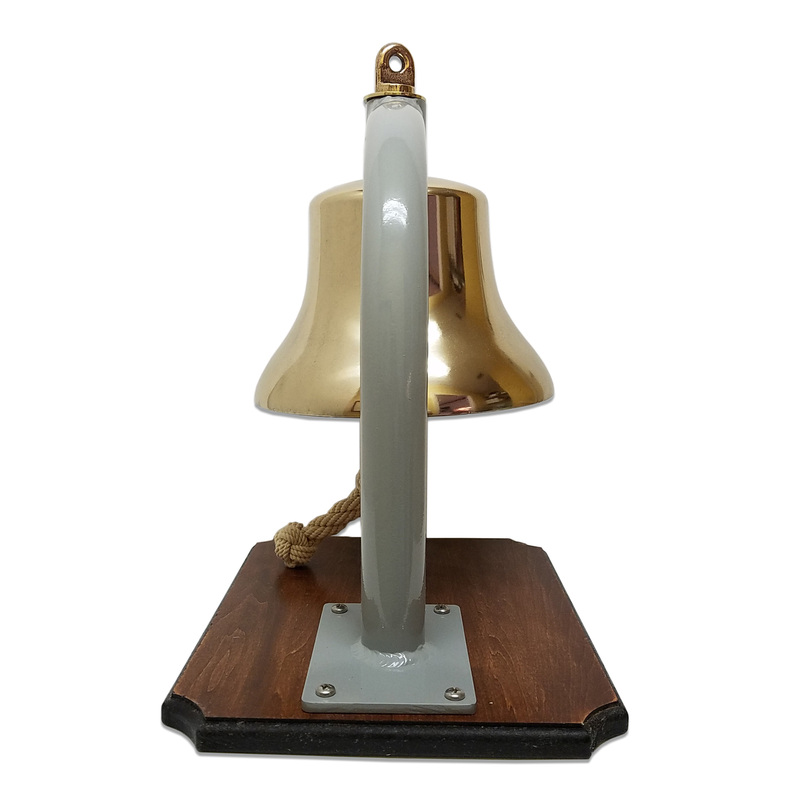 To view other AUTHENTIC VINTAGE U.S. NAVY & SHIPS BELLS, click here! Height to Crown: 6 1/2"
Presented is a World War Two (WW II) "Foredeck" bell, specially mounted with our exclusively made aluminum bracket and stand. It has the original clapper with one piece nut and washer. The bells were polished when in Navy service, and so we offer them in the same configuration. NOW HARD TO FIND: U.S. Navy bells of this unique design are becoming very scarce, and those with all their original parts are scarcer still. They were mounted using a special “J” bracket on a pedestal or deck, hence they are known as anchor or foredeck bells. NAVY BELLS RING WITH DISTINCTION: There is nothing comparable to the sound of a Navy bell. The use of a special "bell metal" formula produces a clear, sharp ring and sets up a strong reverberation and strong resonance that, once heard, will never be forgotten. Cheap imitations can never achieve this distinctive ring because "bell metal" is a specially formulated bronze alloy, unique to the Navy, for this highly specialized use. CONDITION: Newly polished and lacquered. New powder coated aluminum bracket. The bell rings sharp and clear which resonates and makes a strong vibration. 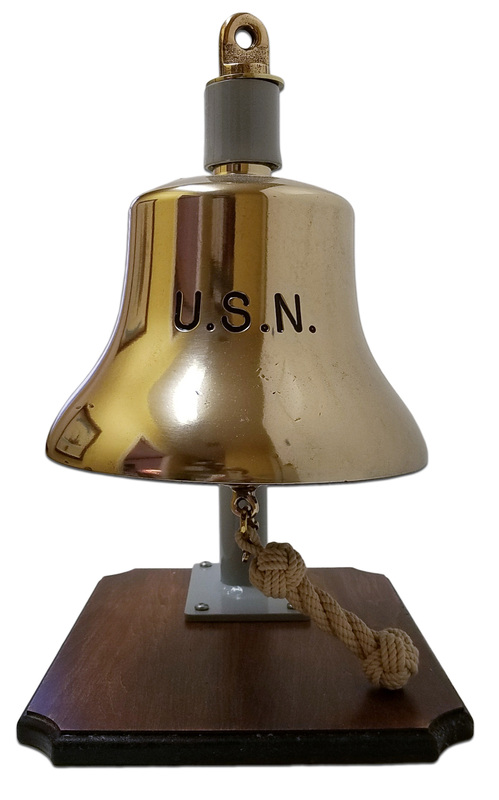 This outstanding and rare US Navy bell is a great find for a gift, presentation piece or for a collection that includes only the finest. The stand makes it ideal for display!